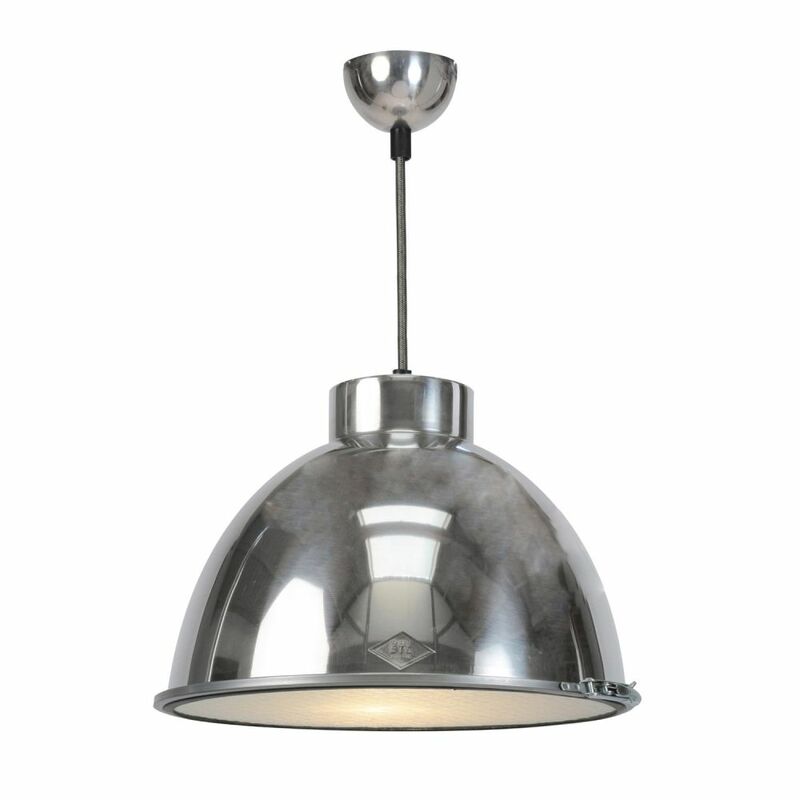 Inspired by traditional factory fittings, the Giant metal pendant shades bring a clean-lined, industrial style. Fitted with a tinned braided cable, the lights can be grouped together for maximum impact. Available in 3 different sizes, and in a variety of colours including polished aluminium or painted in beige, black or stone. The lights are available with or without a wired glass visor. The wired glass visor can help to prevent glare.